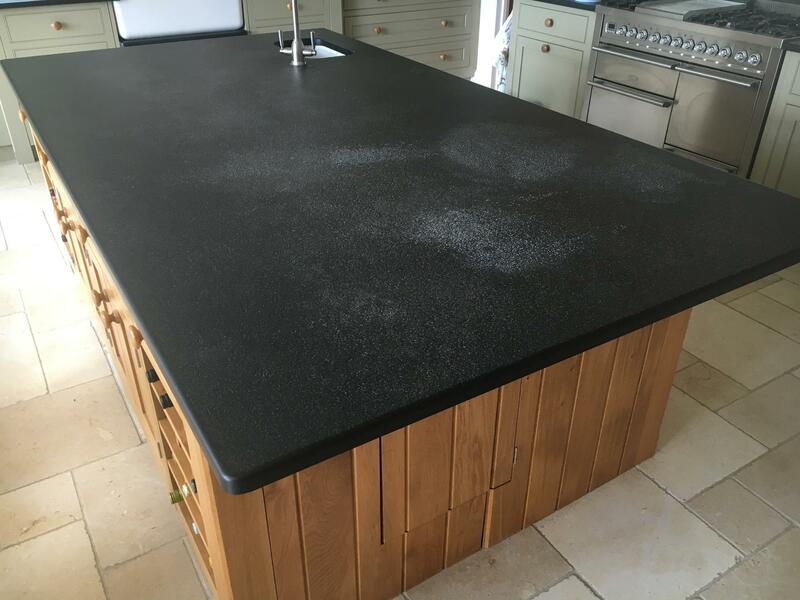 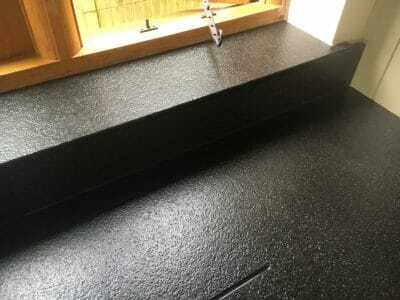 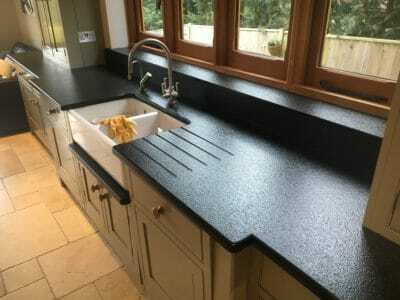 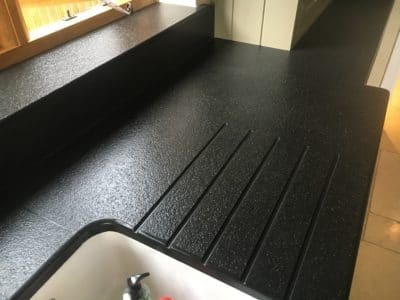 Stained Kitchen work tops of textured black granite surfaces cleaned and treated to enhance the colour of the stone. 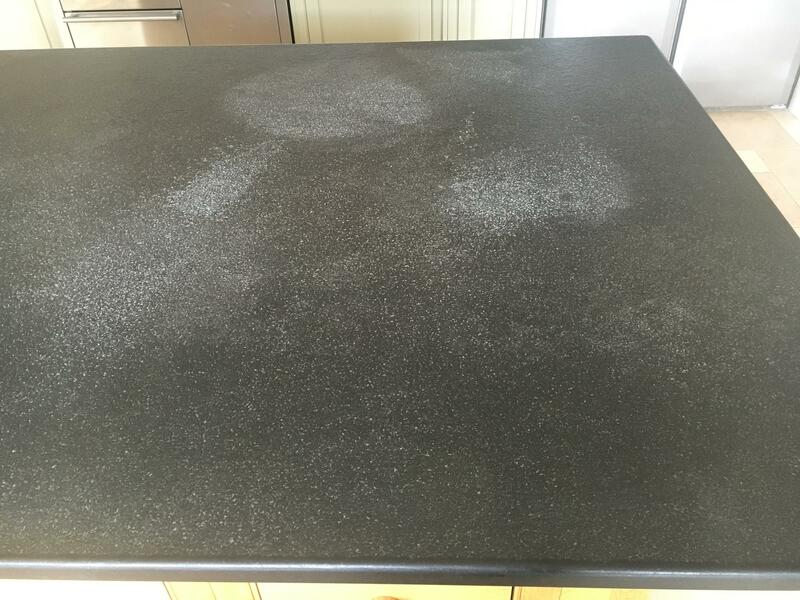 The process involved stain removal, polishing and treatment. 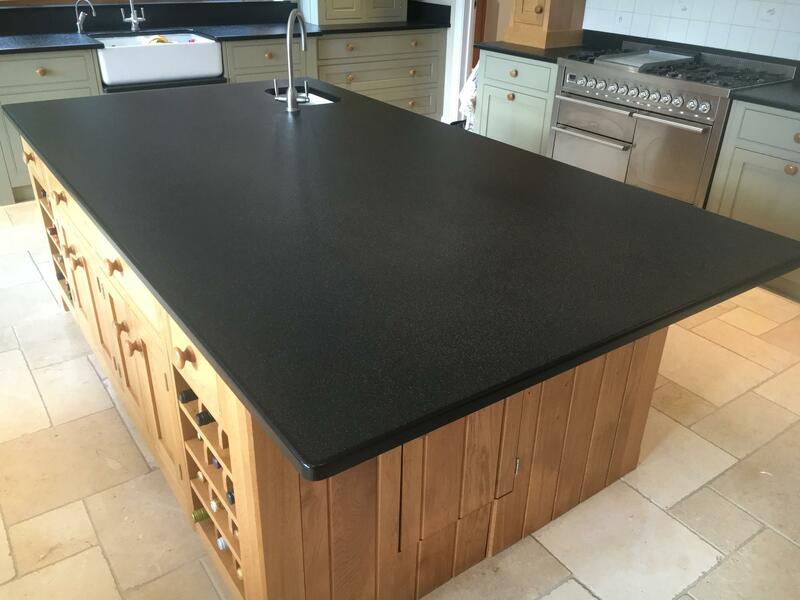 The large granite kitchen island is showing many bright stain areas. A closer view of the kitchen island stains. 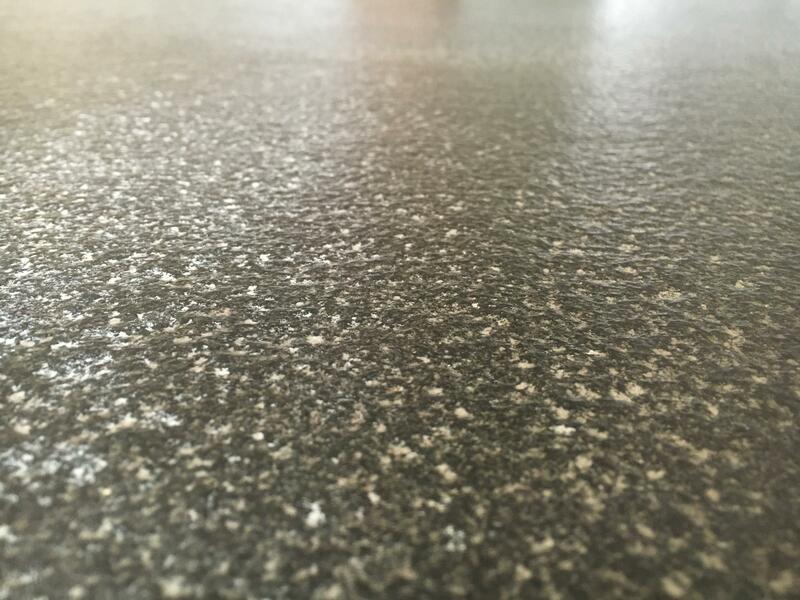 Close view of the texturing on the granite. The kitchen work top and draining grooves show the same type of staining. After the cleaning and treatment the work top and draining grooves look uniform in colour with no stains. 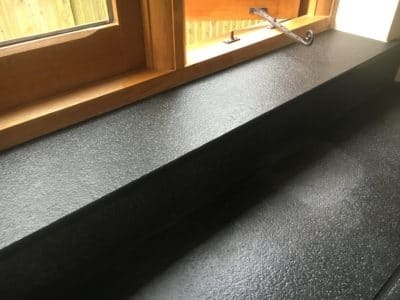 Another view of the work top and the windowsill. 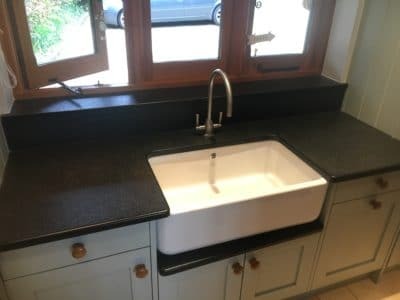 After the clean and treat the stone looks dark and clean. 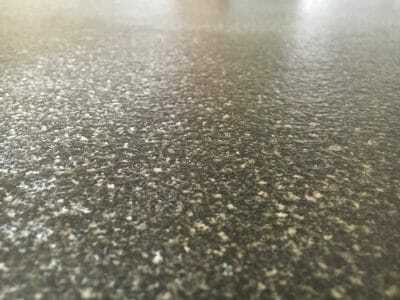 View of the same stone after cleaning and treatment in the utility room shows no signs of staining. The kitchen island looks clean and in a uniform dark colour after the treatment, bringing the original colour of the stone back to the kitchen. 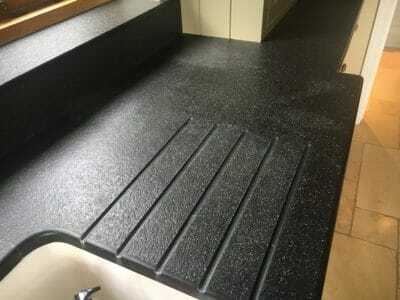 Another angle of the kitchen worktop after the repairs.